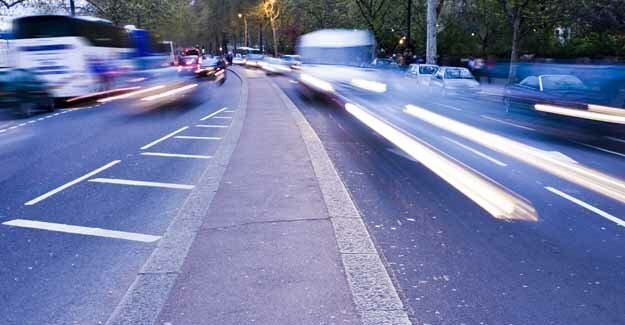 Called the Community Challenge, the project offers prizes of up to £5,000 for community based projects promoting low carbon vehicles and fuels or smarter, sustainable travel. Entry forms are available on the LowCVP website at www.lowcvp.org.uk/communitychallenge. The deadline for entries is 4th June 2010. The judges are looking for community groups to submit original ideas that reduce carbon emissions from travel and transport. There are three categories: Vehicles and Fuels, Smarter/Eco Driving and Reducing Car Use. Projects can deliver physical improvements, equipment or technological developments, as well as providing information or setting up a scheme to promote sustainable transport. Low CVP Managing Director, Greg Archer, said ‘We are very excited to launch the Community Challenge, which allow us to recognise and support the achievement of community groups across the UK in helping to accelerate the shift to low carbon vehicles and fuels’. The Community Challenge is also being supported by ACT TravelWise, Global Action Plan and WhatGreenCar.com. The winners will be announced at the LowCVP conference in July 2010. For the purposes of the competition, a community can be defined as a group or society either in a physical place, or operating virtually. For further information or to enter the Challenge, please see www.lowcvp.org.uk/communitychallenge or call 020 8469 1333. 2. The Low Carbon Vehicle Partnership is an action and advisory group, established in 2003 to take a lead in accelerating the shift to low carbon vehicles and fuels in the UK and to help ensure that UK business can benefit from that shift. The LowCVP is a partnership of over 350 organisations from the automotive and fuel industries, the environmental sector, government, academia, road user groups and other organisations with a stake in the low carbon vehicles and fuels agenda. 3. The Energy Saving Trust is one of the UK’s leading organisations set up to mitigate the damaging effects of climate change. We aim to cut carbon emissions – a contributor to climate change – by promoting the sustainable and efficient use of energy, water conservation and waste reduction. We are an independent, non-profit making organisation that acts as a bridge between government, consumers, trade, businesses, local authorities and the energy market. We provide impartial information and advice with a network of local advice centres in the UK designed to help consumers take action to save energy. 4. The closing date for entries to the LowCVP and Energy Saving Trust is 4th June 2010 and entry forms can be downloaded from the competition website at www.lowcvp.org.uk/communitychallenge, where full terms and conditions are also available. 5. For the purposes of this competition, we define ‘community’ in its broadest sense: as a group or society operating in a physical place or ‘virtually’ through on-line or other communication. Whilst we will not support profit making activity, a business that has a project targeting its employees or other businesses in the local area may be eligible. Schools, Scout and Guide groups and other young people’s organisations are also eligible. 6. For further information, please contact Liz Warren or Chloe Mclaren Webb on 020 8469 1333 or email communitychallenge@lowcvp.org.uk.